Are You in a Spring Slump? I have been in a bit of a slump the past week or so. I think a lot of it has to do with the fact that the weather in Pittsburgh has been exceptionally dreary. It has rained or snowed almost every – single – day for the past month. To the point where we are six inches of precipitation above average. So I have turned again to my essential oils to help get me out of the doldrums. This time I have opened up doTERRA’s Uplifting Blend known as Cheer. 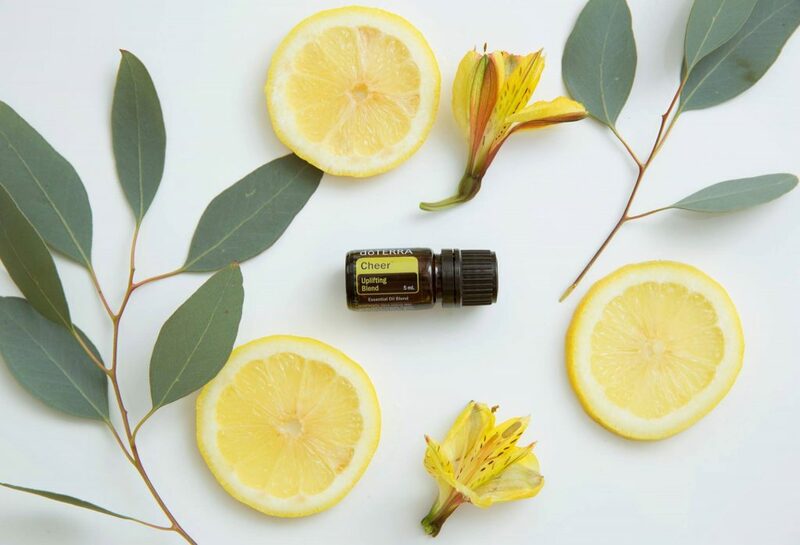 With a sunshiny, optimistic aroma, doTERRA Cheer can counteract negative emotions and provide a boost of happiness and positivity when you are feeling down. It’s fresh, spicy warm scent promotes feelings of optimism, cheerfulness, and happiness and helps to counteract negative emotions of feeling down, blue, or low. I use one or two drops in my diffuser, but you can also use it topically. One or two drops diluted with fractionated coconut oil.